If I Filed Bankruptcy Before, How Long Before I Can File Again? Sometimes it just can't be helped. You file a Chapter 13 case, do well making your payments for a year or two, then chaos reigns. Perhaps you lose your job, get sick, or find that you just cannot keep up the payments. Or, maybe you filed a Chapter 7 case years ago, received a discharge, but find yourself in financial difficulty again. You want to know how long you must wait to file another bankruptcy case. Federal bankruptcy law limits how often you can file a new case. And, even if you are allowed to file a case, one of the benefits of that filing – the automatic stay – may be restricted or delayed. I Filed Bankruptcy Years Ago. Can I File Again? Chapter 7 Chapter 7 Must wait 8 years after filing earlier case. Chapter 13 Chapter 13 Must wait 2 years after filing earlier case. Since most Chapter 13 cases that result in a discharge last more than 2 years (three to five years), as a practical matter, most people can file a new Chapter 13 case immediately after they receive a discharge in a Chapter 13 case. Chapter 7 Chapter 13 Must wait 4 years after filing earlier case. My Chapter 13 Case Was Dismissed. How Soon Can I File Again? Another circumstance arises when you file a Chapter 13 case but are unable to complete the payments. When that happens, you will not usually be granted a discharge of your debts (unless you are eligible for and request a hardship discharge.) Instead, your case will be dismissed. Usually, if your Chapter 13 case is dismissed, you can file another case right away. For strategic reasons, some debtors will file and dismiss several cases in quick succession. This is not necessarily a good idea, but it is possible. The debtor, facing a threat to property, files the bankruptcy case to stop a repossession or foreclosure. When the threat passes, the debtor will either ask the court to dismiss the case, or more likely will just stop making plan payments, which will result in a dismissal. When the creditor renews its collection efforts, the debtor will file a new case. To combat debtors who game the system in this way, Congress included provisions in the Bankruptcy Code that allow debtors to file new cases. But, the Bankruptcy Code also limits how the debtor can use the automatic stay in such situations. One case pending within twelve months: If you had one prior bankruptcy case pending within the previous twelve months that was dismissed, you can probably file a second case, but the automatic stay will last for only the first 30 days of the second case. Creditors will have to stop their collection actions, including foreclosure, repossession and the like, but only for 30 days. After that, the automatic stay will lift automatically unless you ask the court to extend it. Two cases pending within twelve months: If you had two cases pending within the previous twelve months, you may be allowed to file a third case, but the automatic stay will not go into effect at all unless you ask the court to impose it. If that is your situation, filing that third case will not stop foreclosures, repossessions, garnishments, lawsuits, letters, phone calls or whatever else a creditor has up its sleeve. In each case, the automatic stay was not affected, but after the latest case was filed, the Chapter 13 trustee asked the court to dismiss it for serial filing. Dave and Margaret will likely have to go into court and testify regarding the reasons for filing and dismissing both of the prior Chapter 13 cases. If the court allows the new case to continue, it will probably be under the condition that if the new case is dismissed, the couple will not be allowed to file another case for a period of time, which can often be a year or more. If the court is particularly perturbed by their actions, the court could immediately dismiss the case with a provision that would prevent them from re-filing for a period of time. 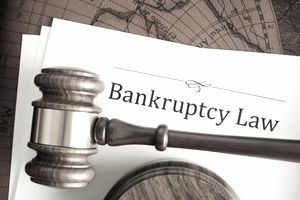 In certain egregious cases, courts have permanently enjoined a debtor from ever filing another bankruptcy case. What do we mean we talk about discharging debts? What's the Difference Between General Discharge vs. Dischargeability?